"Do we really love our life? 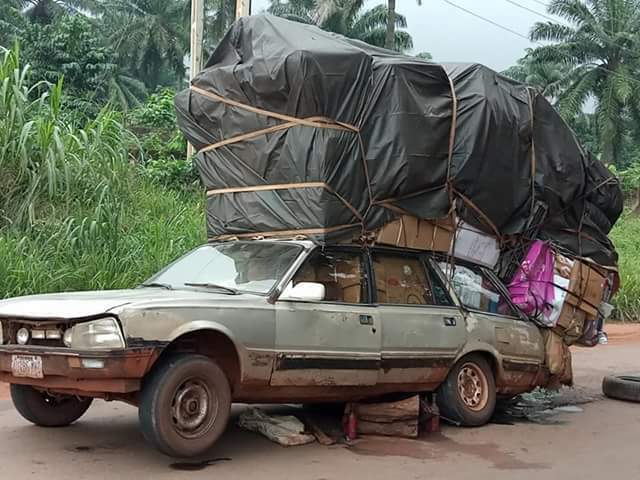 Was this 505 Peugeot car not loaded by human beings, to be driven by one still? 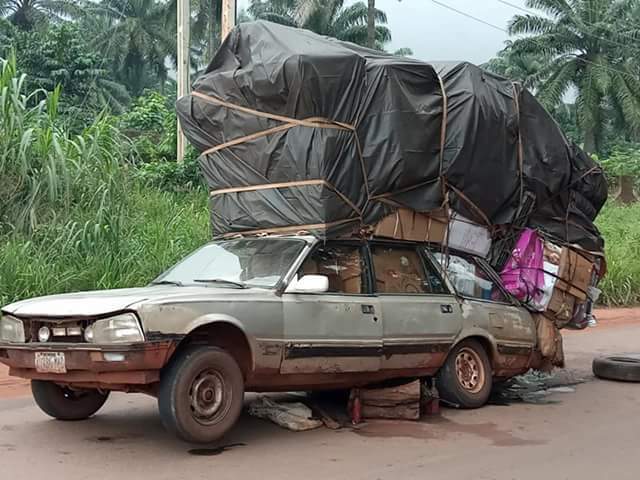 From Onitsha market to somewhere in Benue state, but now stocked along the road in Nsukka, has it not passed the watch of law enforcement agents? 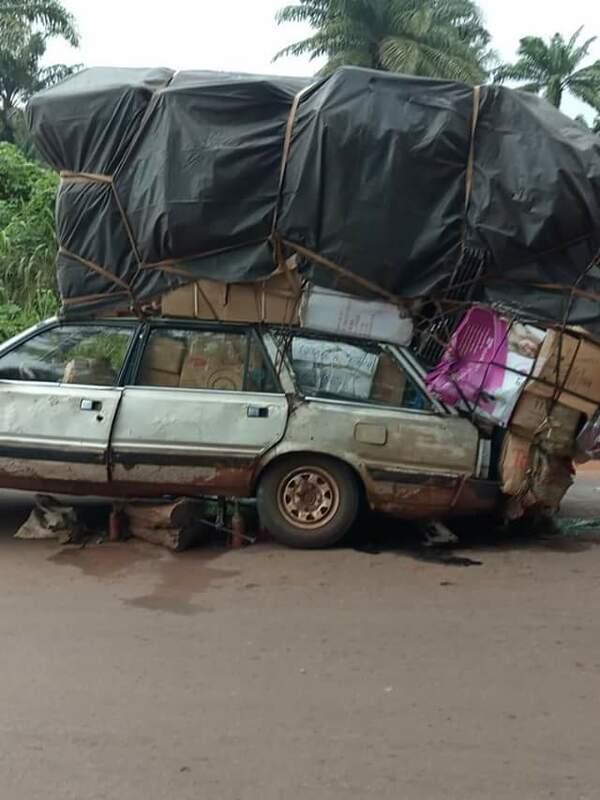 Now having a flat tyre around Nsukka, I spotted 5 jack underneath being used to lift the car, yet to no avail. 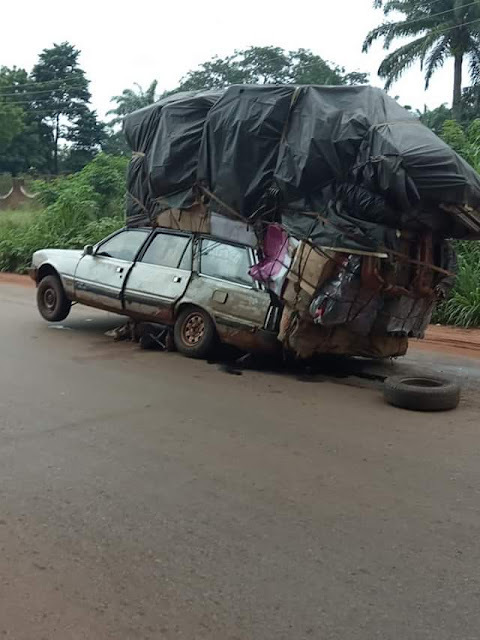 We, need help.."